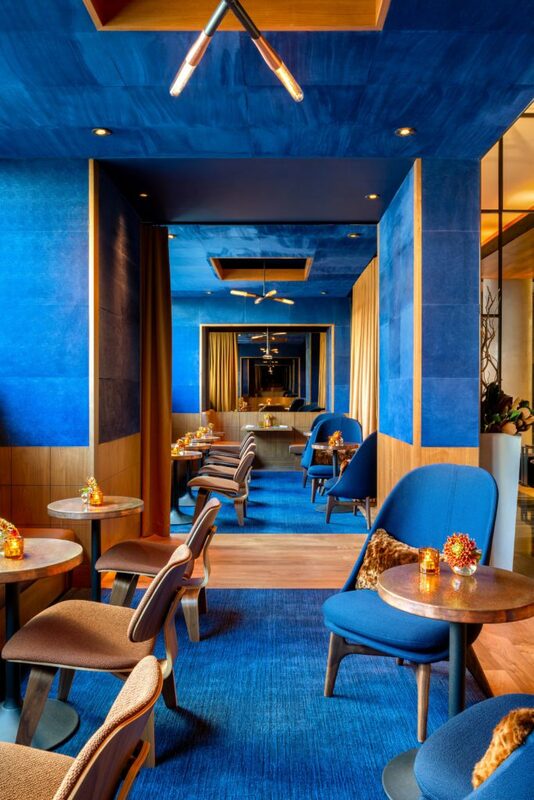 PRINT’s private dining team is proud to unveil the newest gem in our collection of private event spaces: the reimagined cocktail dens. Located on the ground floor at PRINT, the newly-redesigned space can accommodate up to 20 guests. 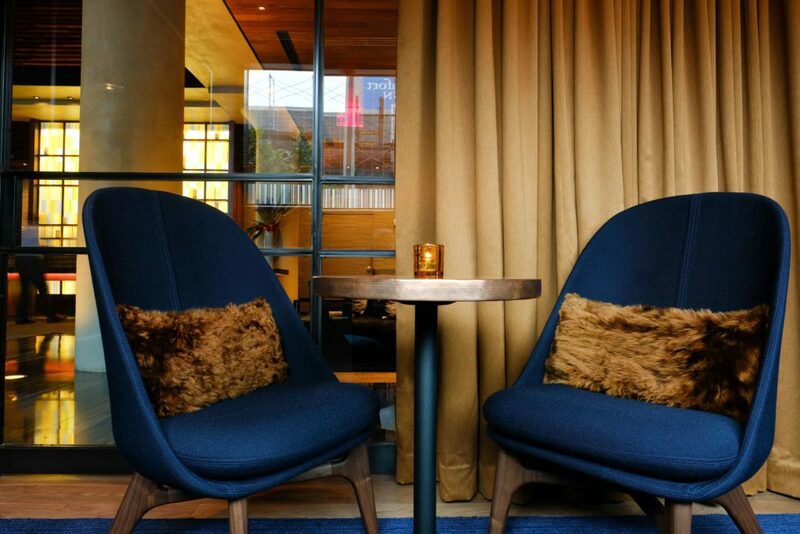 Soft seating in hues of cobalt and brown welcome guests into a relaxing environment. 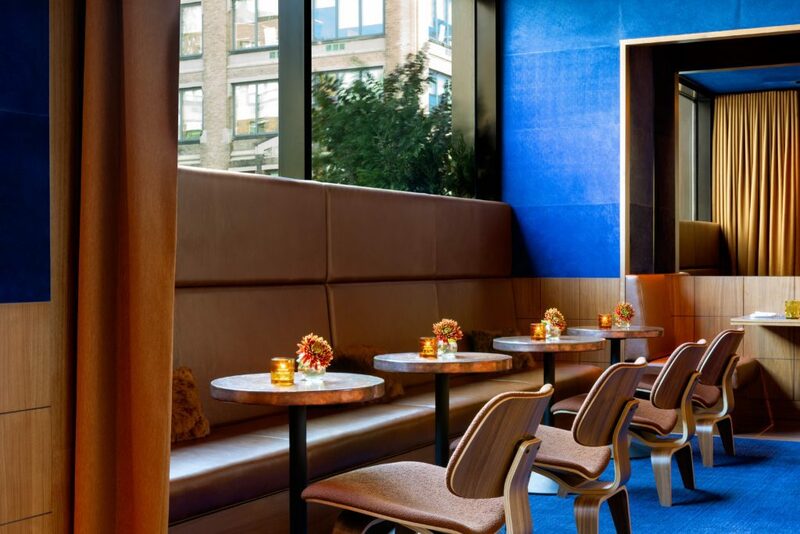 The cocktail dens are well-suited to private parties and dinners, corporate events, after-work networking gatherings, and holiday events. 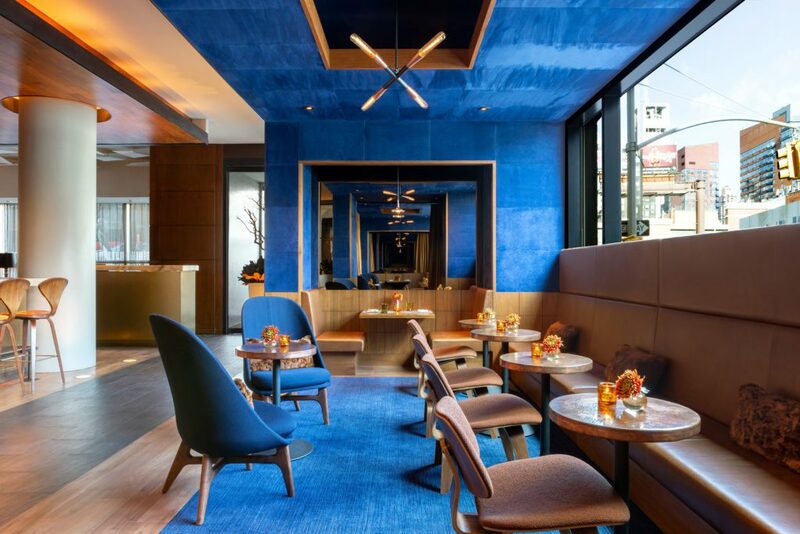 The space features the cuisine of Executive Chef Gary King and Pastry Chef Amy Hess, along with ingredients procured by Forager Meghan Boledovich. Our dens are a truly lovely way to enhance your gathering. The cocktail dens are also open to the public as our Restaurant Café beginning daily at 7am. Café-style breakfast and lunch service are offered in the morning and early afternoon. Light bites are available beginning at 3pm, and the PRINT dinner menu can be enjoyed during dinner service. Additionally, our private den has also been redesigned for elegant dinners seating up to 12 guests. Learn more about what we offer in this new and innovative space. Contact our private event staff by email or online. 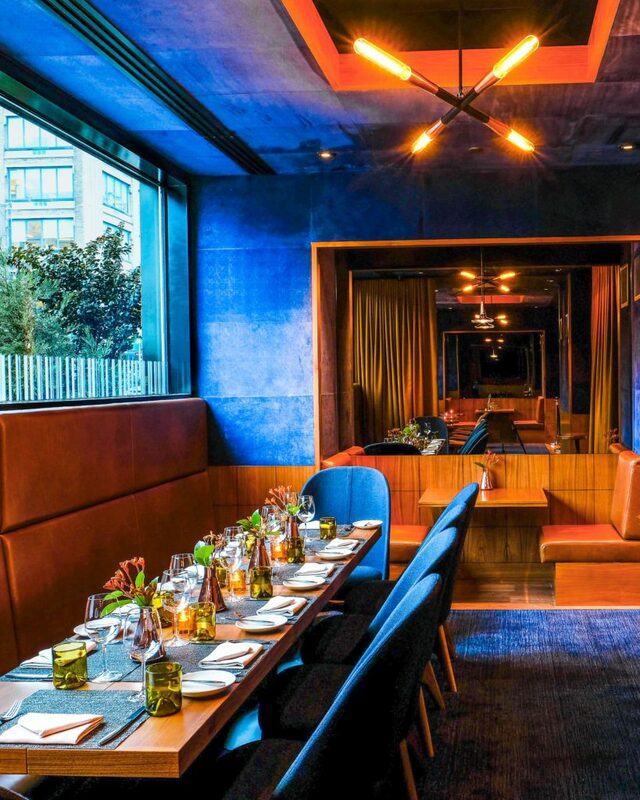 Book your private event in the cocktail dens or the private den today!